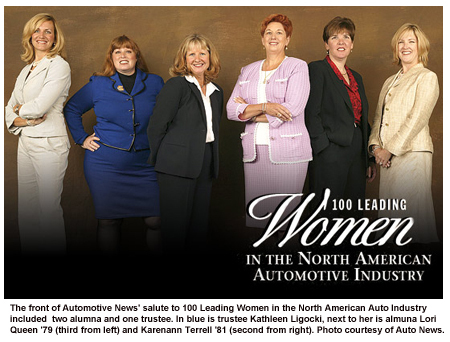 Automotive News announced its top 100 Leading Women in the North American Automotive industry for 2010. The last time this report was done was in 2005, and most of the stakes and the women are entirely different. Nearly half of the women from 2005 had left the Automobile Industry these past five years and 2/3 of this year’s 100 women were not even on the list in 2005, as well. Our very own Marcy Maguire, CEO of the Maguire Auto Group, however, is one of the few women announced as 1 of the 100 Leading Women in the Automotive industry in 2005 and 2010! And, just like Keith Edwards, Editor-In-Chief of Automotive News, stated in his opening remarks about the 100 Leading Women, “the survivors are succeeding and setting high standards for executives for years to come” – Marcy Maguire is just that. The women on this list are, “at the forefront of thousands of successful female executives in the auto industry,” and, “their accomplishments are notable and deserve recognition”, Edwards. In Automotive News’ article on the 100 Leading Women in the Automotive Industry written on September 13, 2010, the 100 leading women were interviewed and spoke candidly about their involvement in the auto industry and balancing work and family. Why did you want to work in the auto industry? I saw Saturn as an opportunity to take a fresh approach to the auto industry. I invested in it and got involved because I enjoyed the process. First automotive job: I opened Saturn of Bordentown [N.J.]. Bob Stempel, former CEO of General Motors, attended the grand opening. And his wife, Pat, bought my first Saturn, a red coupe. Proudest professional achievement: I have had the historic opportunity to serve in two positions as a National Automobile Dealers Association director — as a woman director at large from 2004 to 2007, and then again in 2008 I was unanimously elected by the New Jersey dealers to serve as the director for New Jersey. No one else has held two NADA directorships. Current challenge at work: The biggest challenge is the lending environment both for consumers and for dealers. Credit hasn’t loosened up enough. What you do to relax: I spend time with friends — I would say friends and laughter. Of the 100 accomplished women on the list, 3 are NADA directors, 8 are auto dealers and 4 are executives of automotive groups! 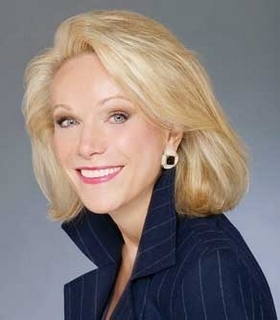 Marcy Maguire, our CEO, is not only categorized in one of those…but in all three! Congratulations to all of the women that were on this year’s and past years’ lists! We are all looking forward to seeing the greatness you achieve in the future! We loved your article, so we included it over at RMG, since we found our readers might find your site of interest….